Humans have harboured a fascination for the mysteries that they couldn’t understand. 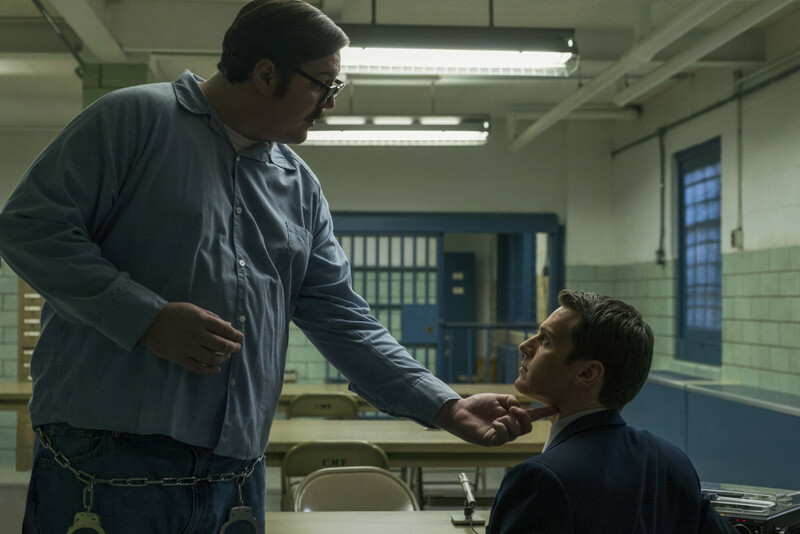 ‘Mindhunter’ tries to poke at the curtain of the mystery that is closest to us and yet, still, far from reach- the human brain. Especially, the brain that doesn’t act like the other, normal ones. This show follows two FBI agents Holden Ford and Bill Tench as they try to understand what makes a serial killer tick. 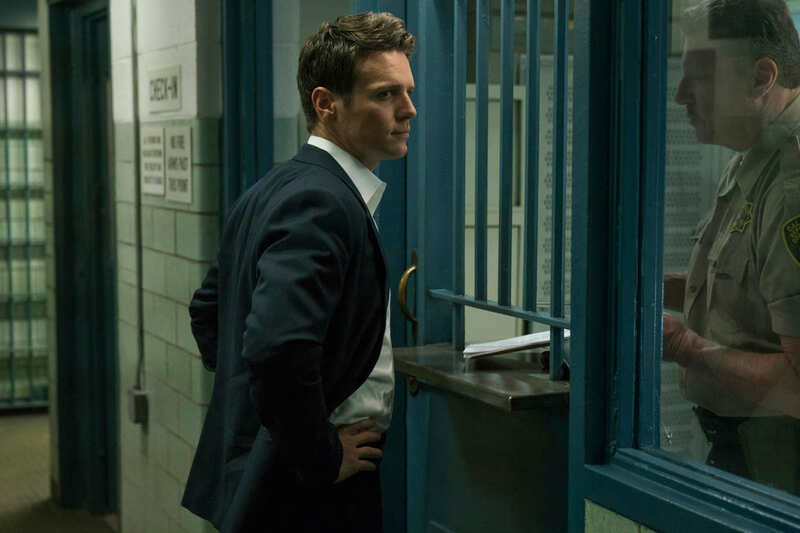 One of the best shows to debut last year, ‘Mindhunter’ is based on the book of the same name by former FBI agent John Douglas, in collaboration with the writer Mark Olshaker. 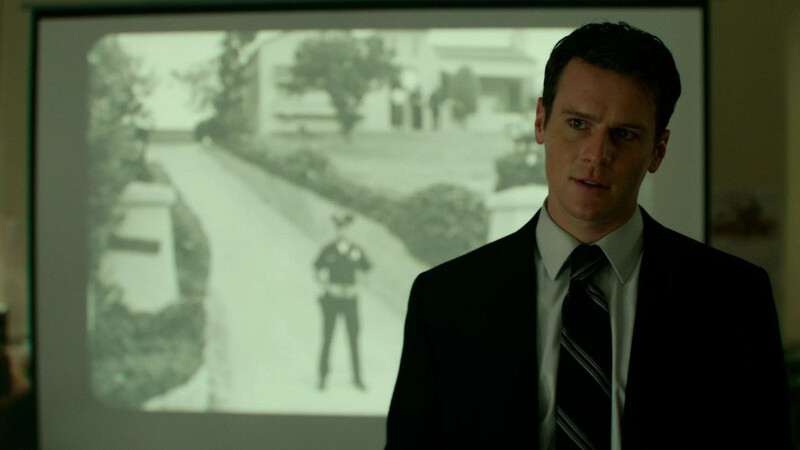 Helmed by David Fincher, ‘Mindhunter’ is a near-perfect portrayal of the incidents depicted in the book. I say near-perfect because the creators have taken some creative licence (not that I’m complaining) in drawing up the characters and managing their storylines. 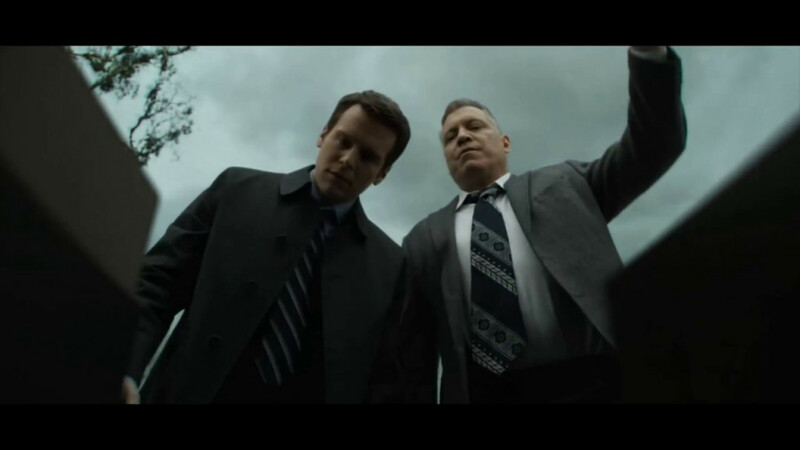 While its storyline is simple to follow, there are some things in ‘Mindhunter’ that keep nagging at you. “What does that mean?”, you’ll ask that a couple of times. Not everything makes sense the first time around. But when you begin with the reruns, the things that you didn’t understand before begin to make sense. Let’s shed a light on the dark points and illuminate the meaning! SPOILERS AHEAD. PROCEED WITH CAUTION! 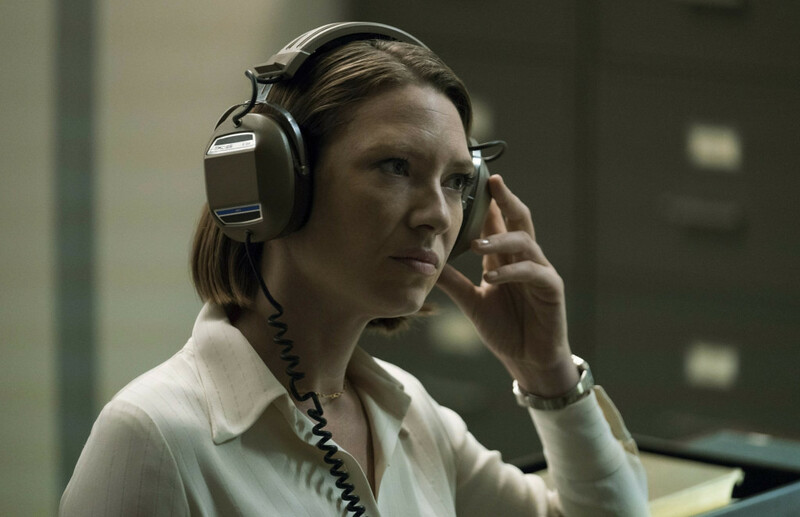 Is Mindhunter based on a true story? As close as it can get without sacrificing the drama that it needs. The lead characters, Holden Ford, Bill Tench and Wendy Carr, are based on real people, the people who established and developed the procedure of criminal profiling, and even coined the term ‘serial killer’. Their vocations have been altered a bit, their relationships have been enthused with a bit more tension than what actually existed. But, in the long run, these alterations were necessary. Even if the show manages to be ninety percent authentic, it is a clear win. We’ve seen shows that fared with much lesser overlapping with their source material. 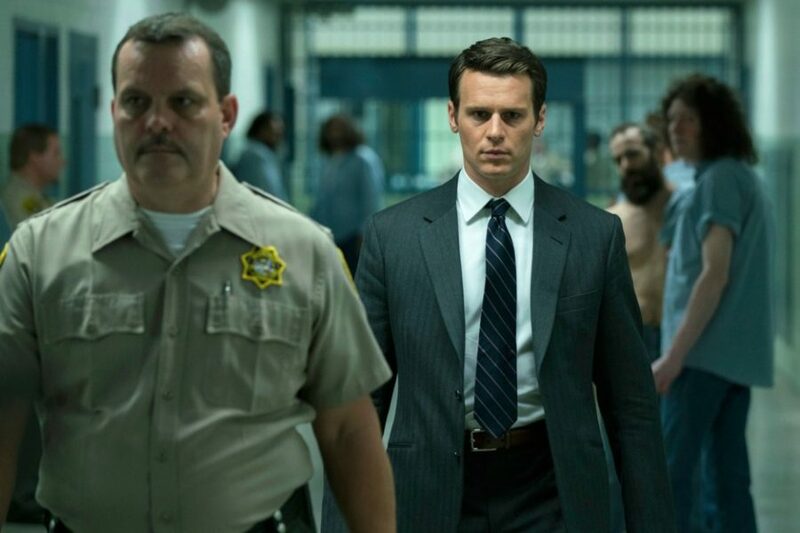 All the serial killers featured in ‘Mindhunter’ are real; the murders and their modus operandi are real; the interviews are real. Even some of the conversations have been portrayed word to word! For instance, the interviews with Ed Kemper, especially where he describes his relationship with his mother and why he killed her. 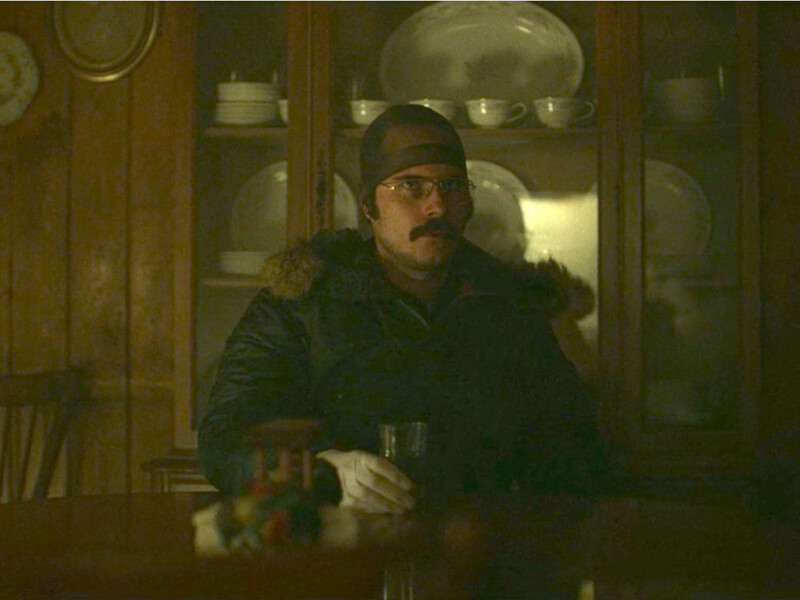 Hats off to Cameron Britton for portraying Ed Kemper with such nuance and hard-hitting authenticity. He is clearly the brightest star of the show. David Fincher’s fascination, or borderline obsession(! ), with serial killers, has resulted in some truly exemplary work. 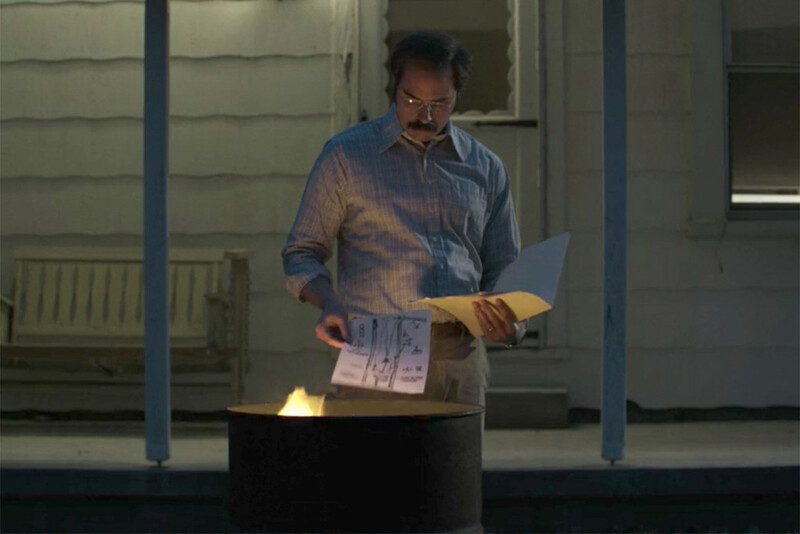 ‘Se7en’ and ‘Zodiac’ are the milestones that we’ll forever thank him for. So, it would have been a disappointment if ‘Mindhunter’ didn’t have the same dark, greenish texture, a sinister tone and a sprinkle of humour just to make things digestible. (For a show this sinister and debilitating, the subtle touch of humour was an excellent balancing factor.) Was it a creepy show? Yes, most definitely. Did it have blood and gore? No. Except for the first scene in the very first episode where a man blows his head up with a shotgun and the pictures of the victims, there was nothing that would make a person puke. Okay, yeah, Brudos and his little affair with the high heels did make my stomach turn. But other than this, there was no violence, or blood, or dead bodies, right? Nothing that’d make you turn away from the screen. Unless you missed the opening credits, the answer is yes. 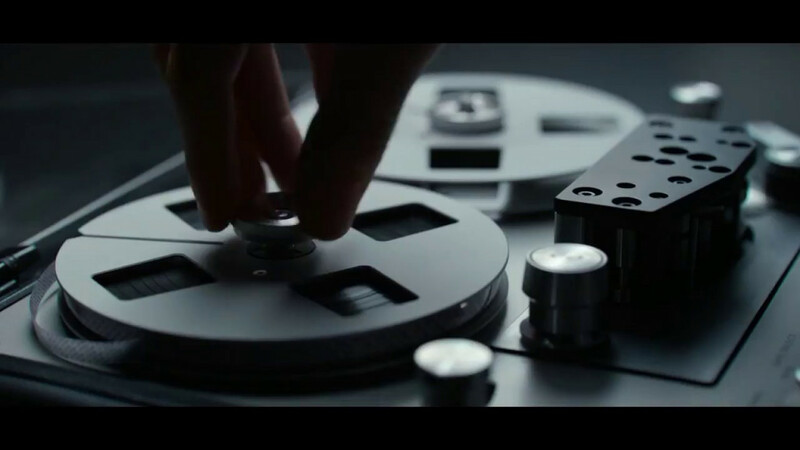 Between the ominous music and the setting of the recording device, there were flashes that were truly one of the most disturbing things about ‘Mindhunter’. Do they mean something? Since it is clearly one of the shows where nothing is irrelevant, all those pictures must mean something. Just a wild guess, but I think that they point towards the serial killers that are featured in the first season. To begin with, all the victims in these pictures are women. This season was heavily centred around the serial killers who took women as their prey. Perhaps, these images will change in the next season because the focus will shift towards the Atlanta child murders. We saw the pictures of decomposing bodies with worms and bugs festering on them. This could be a nod to the fact that the cases that were put in front of Holden and Tench were, generally, the ones in which the bodies of the victims were already rotting while their murderers were still out and about in the world. The bound hands and feet could be a nod to the BTK killer; the open zip of the pants points towards the sexual nature of these crimes; chipped teeth and gagged mouth point towards the torture that the victims must have gone through; and the images of the feet could be a nod to the shoe-fetish killer, Jerome Brudos. Flowing in sync, as the music intensifies, the images become more disturbing. How Good was That Music! In the show where every conversation and every silence have a meaning, it was expected that the music, too, would follow suit. It wasn’t just to keep pace with the aura of the ‘70s, it was the foreboding of the fate that no one was aware of, yet. Take, for instance, the song at the end of the first episode. As Tench enquires Holden about his girlfriend and asks him to share his touchy-feely feelings with her, Don McLean’s ‘Crying’, a sad song one would listen to after a break-up, plays on the radio. And we know what happens with Holden and Debbie in the end, right? The music sometimes just sums up the feeling of the whole episode, or sometimes points towards a certain aspect that will become important later. The soundtracks were chosen very carefully, to keep in sync with the tone of the episodes. With the next season, the style of music will change accordingly. Since Atlanta child murders will be at the focus, be ready to have some Afro-American music echoing in the end. What’s with Wendy and That Cat? As I said, nothing in this show is irrelevant. However, when Wendy’s arc of feeding a stray cat was shown, I was a bit confused. What did it mean? Of all the other things that they could’ve shown, why did they choose to show a lonely Wendy bonding with an invisible cat? The first point that seems pretty obvious is that Wendy is vulnerable. She is a smart, attractive woman who lives alone. When she goes to the basement to do her laundry, we see her wearing just a shirt, with her legs exposed. So, if she was to catch anyone’s eye, she would be an easy target. And this is what the director played at. It’s been about half a season now and we are paranoid enough to expect something worse to happen. And when we see Wendy alone in the basement, there is a tension that looms on us; the anticipation that within moments, Wendy will be the prey. But, that’s not all. While in the basement, Wendy senses (because she never actually sees it) the presence of a cat. She feeds her tuna and it becomes a routine, until one day she finds the tuna rotten and ants feeding on it. The actress Anna Torv, who plays Wendy Carr, found this interaction as interesting as we did. She had her own interpretation of it. She intercepted it as the representation of the victims who never find justice. The ones who are just lost to the society and even their deaths never come to light because no one ever intercepts them. They remain latent, unseen and no help ever arrives for them. The invisible cat was a metaphor for the victims who remain invisible. 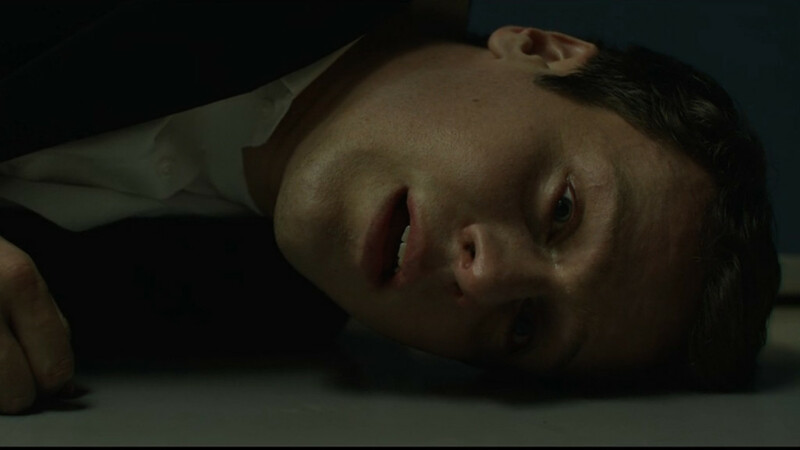 But, David Fincher has another perspective on it. Yes, there was a cat, and yes, it was eating tuna out of the can. So, why did it suddenly stop? Because it was dead. If you remember, while this whole cat scenario is playing out, Holden is called to a school to deliver a speech to children, to help spread awareness about the preliminary stages of psychopathic behaviour. When asked how to identify such kids, Holden answers that the ones who are “mean” to animals are the ones who clearly have issues. So, what does it this say for Wendy? We can expect that the cat was healthy because Wendy had been feeding it regularly. So, there is a possibility that it didn’t die of natural causes. Someone killed it. Someone was mean to it. And that someone lives in Wendy’s building. So, that feeling we had about Wendy being in danger, I guess, it wasn’t too far-fetched, after all! How this plays out in the next season is yet to be seen, but I bet, it’ll be an interesting thing. Who’s the ADT Man That Appears in Every Episode? Talking about out-of-place things, who is that man who appears in every episode, but doesn’t seem to have a connection with any case? A calculated guess says that it is the infamous BTK killer. Known for his MO of Bind, Torture, Kill (how he got his name), he operated in Kansas from 1974-1991 and wasn’t caught until 2005. There wasn’t much mystery to his name, to begin with. We knew his name the first time he appeared on the show. “Whatever, Dennis”- Episode 2, first scene. That man is Dennis Rader. 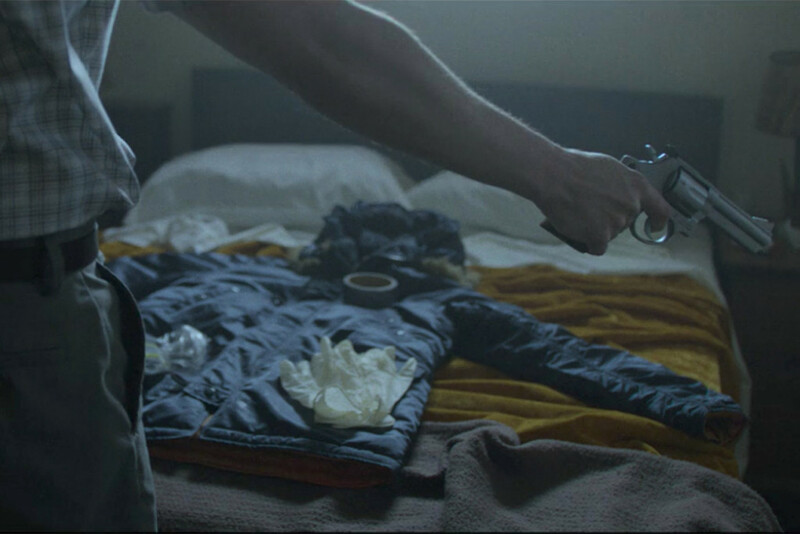 In Episode 5, we saw him wearing gloves and posting a letter. This is in sync with Rader’s behaviour. He used to send letters to the police to taunt them about his latest killings. So, yeah, it’s a real character, alright. How it plays into Holden and Tench’s storyline will be interesting to watch, considering that they weren’t the ones who caught him. Also, he was caught about 30 years later, and the time jump of this magnitude doesn’t seem plausible. He did commit murders during that time, so maybe Holden and Tench will come across one of his victims while they continue their research on serial killers. In different scenes, we see him practising knots, scouting neighbourhoods, and preparing to kill someone. In one scene, we see him waiting at someone’s house and when that person doesn’t arrive he gets frustrated. This is what actually happened once. Rader said that he had been waiting at a woman’s house, but she never arrived. And that’s why he couldn’t kill her. “It wasn’t her day.” Imagine that, a serial killer sitting inside your house waiting for you. That woman had no idea how close she came to dying. 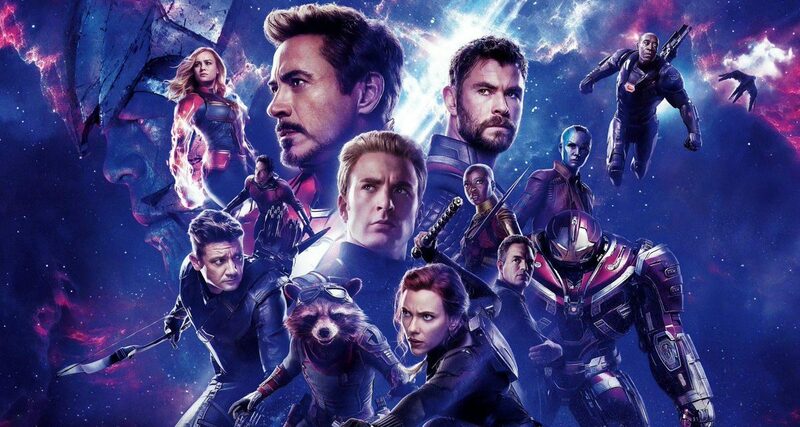 Anyway, it does seem a bit improbable to bring in a character that doesn’t have a direct connection to the lead characters. For a show like ‘Mindhunter’, this doesn’t seem right. The fans have concocted a wild theory regarding his importance by linking him with a critical character. The theory suggests that Holden’s girlfriend, Debbie, is the daughter of Dennis Rader. Now, before you start blowing raspberries(! ), consider this. As I said, every conversation in this show has a meaning. Remember when Holden asked Debbie why she came home in Patrick’s car? She said she had forgotten to change the oil in her car. And when Holden treats her like a child about it, she says “my dad used to remind me to change the oil.” Now get this, before Dennis Rader was arrested, he had called his daughter and told her to change the oil. He always used to remind her of that! How eerie is this! Yes, there are some irregularities in this theory that don’t fit too well with reality. But, if the creators decided to take creative licence on this detail and on BTK’s portrayal, then this could be a possibility. What Was the Deal with the Principal? As they read into the behaviour of the serial killers they interview, Holden and Tench begin to apply this knowledge to real life and catch criminals. We are always in agreement with them when it comes to identifying the criminals. They always get the right guy. Except, in Principal Wade’s case. This was, perhaps, the most confusing episode of all. Yet, it hit its mark with absolute clarity. It raised all the right questions about all the right things. Throughout the season, we see Holden get more and more confident about his ability to understand the ‘abnormal’ mind of a serial killer. This increased understanding made the audience question several aspects of Holden’s psyche. And this episode targeted his paranoia. Is Holden becoming paranoid? As Principal Wads lashes out at him, he says that his job has made him paranoid. Seems legit. Is Holden arrogant? Not heeding the advice of his superiors, going against everyone’s wishes to pursue a case that isn’t even there. Considering everyone else’s intelligence on the matter beneath him. Yes, Holden, that sounds like arrogance. So, was that the only point of the whole episode? To show us that Holden has changed? Does that mean Principal Wade wasn’t wrong in ticking the children’s feet? It’s not that simple. I think that Wade should’ve stopped when the parents asked him to. Maybe, he didn’t see any harm in it; maybe, he really was helping the kids. But, they aren’t HIS kids. If the parents are uncomfortable with someone tickling their children, then he should’ve just stopped. How hard was that? But, he didn’t stop. Not only did he continue this, he lashed out at the parents for questioning his motives. And this is where we begin to see Holden’s point of view. Now, Holden is of the sanest mind in the whole FBI and is the only one who is genuinely concerned about the kids. Why are his colleagues being so imperceptive? Maybe, it’s because they weren’t there. Debbie didn’t find Wade’s behaviour right, and even Gregg came to understand that it wasn’t okay. So, was Principal Wade a psycho? A serial killer in making? It’s true that Holden was taking a long shot with Wade, a man with no previous history of violence and nothing to stain his character. Except for this little habit that he didn’t want to control. Did the FBI need to meddle in it? NO! If the parents had a problem, the school board should’ve considered it and handled it by themselves (which they did later, anyway). Maybe Wade really wasn’t a future psychopath, but why couldn’t he just stop? And this question is what made this episode one of the most important episodes. Had Wade been in 2018, there would have been an outright scandal. However, this was about 30 years ago. A different society with a different outlook. And at that time, even the police didn’t take it seriously. So maybe, this is the ground Wade stood upon. He wasn’t doing anything illegal. But again, parents had a problem, why don’t you just stop? Both Holden and Wade were right in their own eyes and this is what made this argument even more interesting and important. It doesn’t matter whose side you’re on, you can’t miss the other one’s perspective. I guess this was the whole point of the episode, to confuse us. And, it did so brilliantly. I loved the direction in this episode. When we talk about something, we are affected by the things that happen around us. As Holden is being made familiar with the concern about the Principal’s behaviour, in the background, we see Wade holding a small girl’s hand. Since he is older, he is taller and is kind of intimidating to the little girl. He is in a position of authority so he can assert his dominance. This makes a mark, right there, on Holden’s mind regarding the Principal. Wade fits the profile, even if vaguely. So, we can’t really blame Holden for being so concerned now, can we? What makes it even brilliant is that this whole scene could have made a different impression in different circumstances. A different dialogue and this scene would have appeared to us in a very different light. This is when we know that Holden has left his initial innocence behind. While learning from the killers, he starts absorbing their language. Especially Ed Kemper’s. Holden goes from ordering “Ed salad sandwich” to repeating one of Kemper’s lines (“you gotta get that – before it turns into Mom”) word by word! And it’s not just the food and the lines, it is the character traits that start to seep into his personality. His confidence turns into overconfidence, he continuously undermines authorities, stops paying heed to what his colleagues suggest, repeatedly reminds everyone that he is the one who started all this. Isn’t this what those serial killers wanted, too? To claim credit, to challenge authority structures, bragging! Oh yes, Holden brags, too. Keeping in line with the background of the serial killers, we see that they generally have a spoiled relationship with their mothers and there is always an absent father. People have noticed that even though Holden says that he is close to his mother, the incidents in which he mentions her don’t portray the picture of an ideal mother-son relationship. Also, there was not one word about his father. So, what does it all mean for Holden? By the end of the season, Holden has a lot of ticks on the Hare Psychopathy Checklist. So, if everyone thinks that Holden is going to turn into a psychopath himself, they aren’t entirely wrong. This would mean a great deviation for Holden’s character. We know that he is based on the real-life FBI agent John Douglas, who we know wasn’t a serial killer. Hence, to expect Holden on a killing spree isn’t a likely situation. However, Douglas admitted that these interviews did take a toll on him and his team, and they went through a lot of changes after that. So, will Holden ever go back to being normal? Doesn’t seem likely. Holden became so full of self that he didn’t pay heed to Tench’s warning (if this stuff doesn’t bother you, then either you are more messed up than I thought, or you are kidding yourself.) 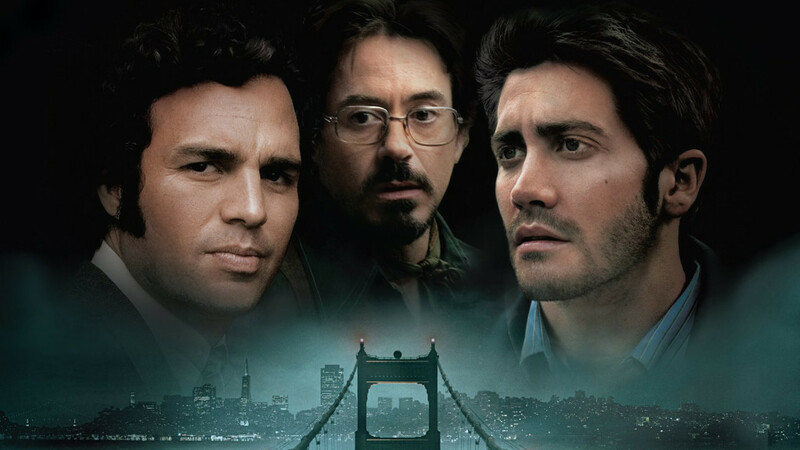 Holden believes that he is immune to all this, he believes that he is acting professionally. He even pokes Tench, repeatedly, when he refuses to meet Brudos, again. The thing is that Tench isn’t arrogant enough to let people think that he is better than others. Honestly, Tench doesn’t care about what others think. He knows that his job is getting the best of him and this is messing up his personal life. Holden, on the other hand, is imbibing it all in his personal life. He is so indulged in all this that his conversations with Debbie rarely go beyond his work. He is even warned by Tench to keep his attitude in check if he doesn’t want to get into trouble. The Director lashes out at him when he tries to justify the use of profane language in cracking Gene Devier’s case. The problem with Holden is that he has stopped identifying these traits as “abhorrent” behaviour. He is blind to the changes that are becoming deeply rooted in his psyche. Until his last meeting with Kemper. That last scene is the most intense scene in the whole season. 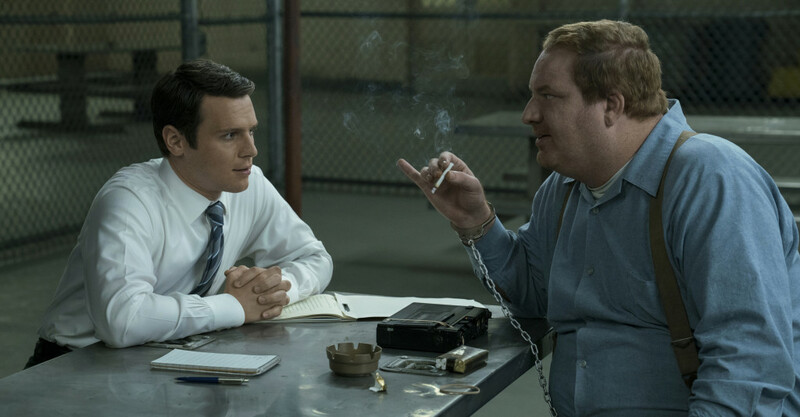 Cameron Britton’s electrifying portrayal of the calm and cold Ed Kemper is bone-chilling. And the moment he jumps up from the bed to block Holden’s escape route, we get really worried for Holden. All this time, Holden rejoiced in the fact that he was manipulating these psychopaths. He was acting as their friend in order to coerce information from them. He used Kemper for information and when it was time to move on, he didn’t look back twice. What he didn’t consider were the consequences of his actions. His attitude didn’t sink in right with Kemper, and there he was, in the end, proving exactly that. He showed Holden how vulnerable he was, how easily he could be killed. It was the concept of “spirit wives” that shook Holden (and us) to the core. And this is when the realisation struck him. This is when he knew what Tench and Wendy and Debbie meant when they warned him or told him how he had changed. The confident, intelligent, master-manipulator Holden was scared to the bone when he found himself ambushed by Kemper. For the first time in ten episodes, we saw fear in Holden’s eyes. All the red sirens started blaring in his head, all at once, and he was overwhelmed by the fear that gripped him in the form of Kemper. That hug was the last straw. Holden lost control of himself (perhaps because he realised he is not in control, after all) and suffered a nervous breakdown. What this means for him in the next season is an interesting plot point to look forward to. But one thing is clear, Holden has learnt a very important lesson. The lesson that he desperately needed. Just so you know, this Kemper incident is similar to what happened to Douglas’ partner when once he was left alone with Kemper. Kemper scared him so bad that the presence of two interviewers was made mandatory after that! So, what does this nervous breakdown say about him? Is Holden a sociopath? Most certainly. But is he a psychopath? Time will tell.